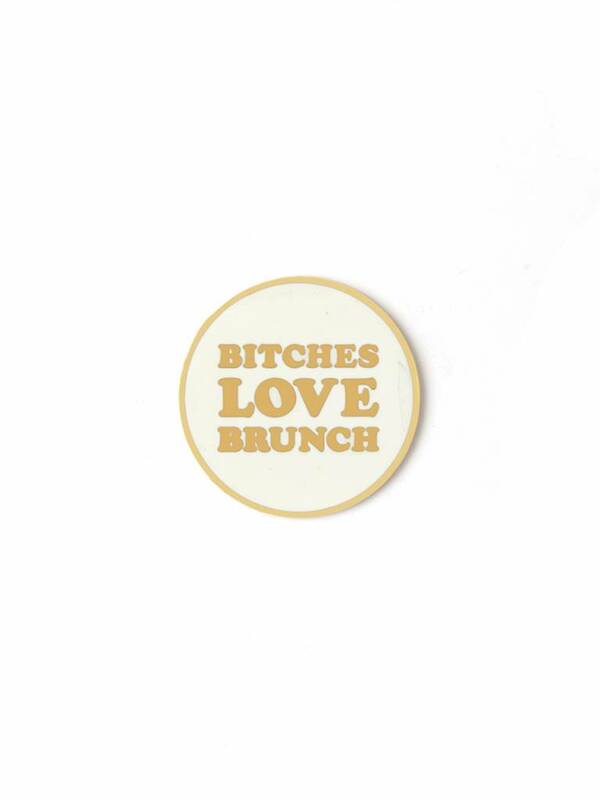 Get one for you and one for all the ladies in your brunch party! Hard enamel set in 22k gold plated pin. Dual pins with rubber backs.